Royal Caribbean International's Royal Loft Suites. Seven cruise-ship suites that rival top hotel penthouses. 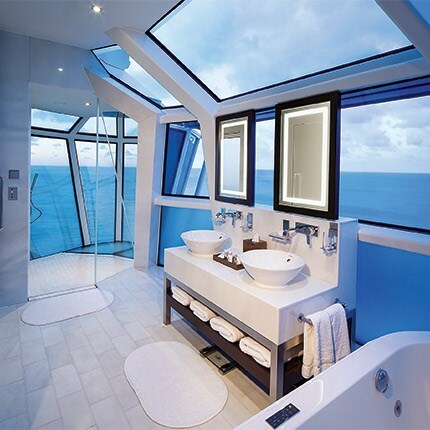 Celebrity Cruises' Reflection Suite and (below) Champagne on Silversea. Originally appeared in the February 2016 issue of Virtuoso Traveler. Wraparound balconies with whirlpool tubs. Baby grands for entertaining and spiral staircases for a grand entrance. Personal saunas in en suite spas. With a bevy of top-tier amenities, these supersuites make a big, bold statement. (Their more competitively priced counterparts speak volumes as well.) And best of all: The view outside your window is always new. 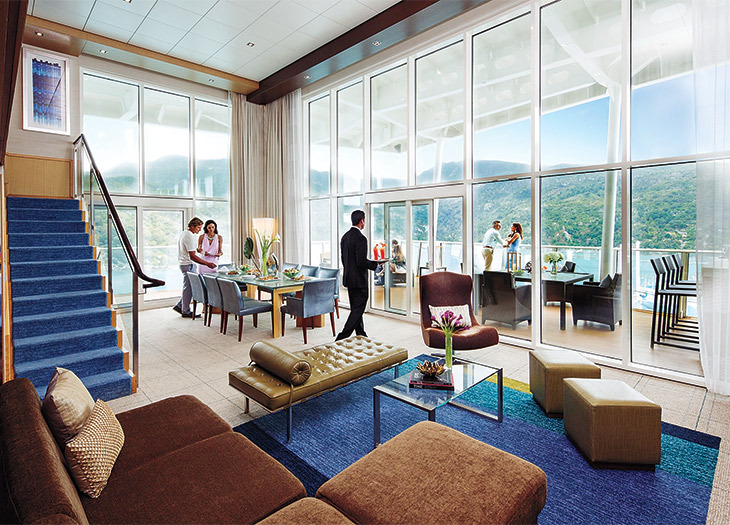 To book one of these cruise-ship suites, or learn more about other sailings, connect with a Virtuoso travel advisor here.